The Australian Cancer Atlas is the first online, interactive platform showing how cancer diagnosis and survival vary across small areas for many different cancer types. 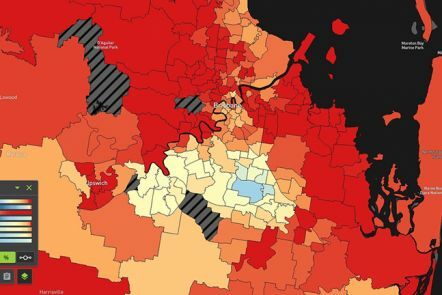 QUT researchers and developers worked on expanding the spatial models used to generate the statistics, visualising the results, and creating a freely accessible, interactive, online system. 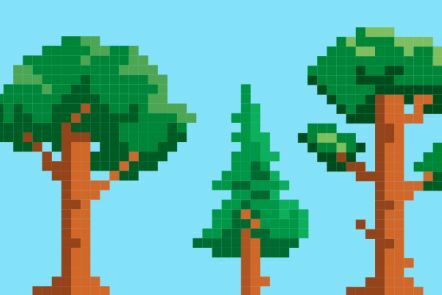 In an industry first, QUT mathematicians are working with the Queensland government to create innovative, computer-generated 'virtual trees' that predict how a sawn piece of timber will perform without cutting into the tree itself. With Australia's timber industry worth almost $24 billion annually, harvesting trees and processing timber is becoming increasingly based on science. IFE’s Enabling Platform, IntelliSensing, is about transforming data collection, modelling, analytics and decision-making to address real-world challenges in the built, natural and virtual environment. This is an enabling platform that can solve a wide range of problems for industry and society by introducing new technologies, techniques and systems. 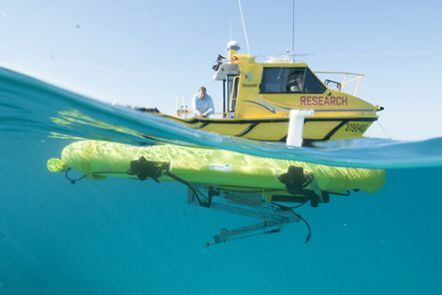 QUT’s reef protector robot is set to become ‘mother’ to hundreds of millions of baby corals in a special delivery coinciding with this month’s annual coral spawning on the Great Barrier Reef. This is a world first, led by Professor Matthew Dunbabin from the Institute for Future Environments. Jaguars in the wild jungles of Peru are among the most elusive and threatened species on the planet. 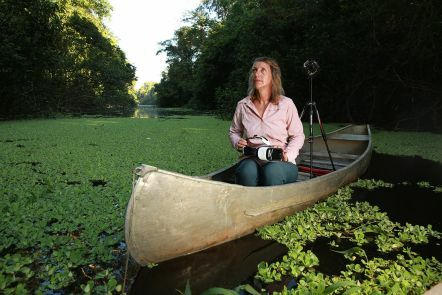 Professor Kerrie Mengersen is leading a visionary project to help ensure the big cat's survival through the use of statistics, mathematical modelling, virtual technology and knowledge from Indigenous people living in the Amazon. Our research tackles the grand economic, social and environmental challenges facing the world this century. IntelliSensing is about transforming data collection, modelling, analytics and decision-making to address real-world challenges in the built, natural and virtual environment. This is an enabling platform that can solve a wide range of problems for industry and society by introducing new technologies, techniques and systems. Governments, businesses and individuals often suffer from data overload and yet lack the critical information they need to make sound decisions and address management problems. Society is also on the cusp of a revolution in the way we sense and interact with the world. 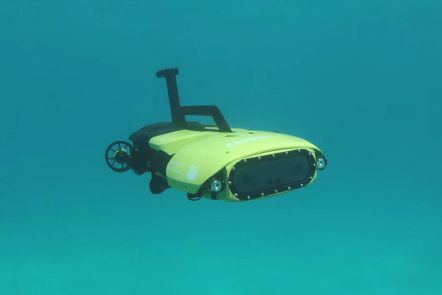 Technological advances in robotics, autonomous systems, sensor networks, and mobile and wearable devices are generating extraordinary volumes of data and giving us unprecedented power to extract key information that helps us understand and manage natural and built environments. This revolution will transform a wide range of industries and sectors as well as the policy-making processes of governments. addressing society’s concerns about policy and law governing autonomous movement and sensing technologies. new digital-physical markets and businesses are formed. create programs to prepare our education sector for developing the future workforce which will develop, deploy, and disseminate IntelliSensing solutions across different sectors. QUT researchers work with government and industry partners to deliver practical digital solutions for agriculture and food production systems through the use of robotics and autonomous systems, sensing, data analytics and agri-intelligence. The Great Barrier Reef is one of Australia’s most iconic natural wonders, but there is still so much more to discover about this magical marine environment and the challenges it faces. QUT researchers are working to better understand the reef and how to protect and restore it to ensure the Great Barrier Reef’s future is as bright as the coral seen on some of its 2,900 reefs. Initiatives include Virtual Reef Diver, a reef monitoring collaboration between scientists, data analysts, marine explorers and citizens. Contact Dr Mark Gibbs, our Knowledge to Innovation Broker, about research partnership opportunities with us.